Though we may be only four months into the year, it’s fair to say that M. Night Shyamalan’s psychological horror Split has been one of 2017’s greatest cinematic surprises thus far. 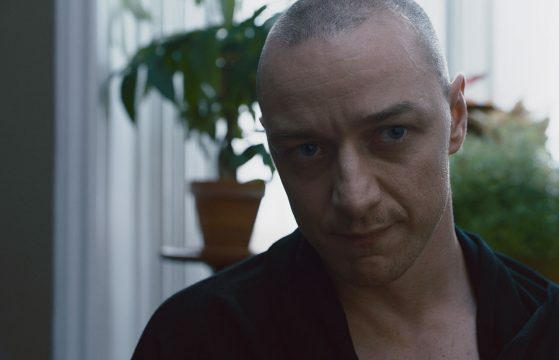 Not only did critics praise the James McAvoy thriller as a return to form for the illustrious filmmaker, but Split managed to blow past all expectations in its journey to $272 million at the worldwide box office, seeding talk of a potential sequel that would, in essence, complete the trilogy. It becomes difficult to discuss Shyamalan’s high-concept feature without delving head-first into spoiler territory, and considering that the latest tidbit relayed by Screen Rant involves the film’s alternate ending, we kindly recommend that you bookmark this page and return at a later date if you’ve yet to experience Shyamalan’s latest in full. If you’ve already seen Split, then you’ll be pleased to note that it’s poised to release via DVD and Blu-ray on April 18th – the Digital HD version has been available from April 4th. But before you start plotting that second viewing, Screen Rant has unearthed details of the film’s original, much darker ending. It’s a slightly different depiction of The Horde (AKA The Beast) and McAvoy’s ill intentions, but it certainly makes for a grim finale nonetheless. Split is set to launch via DVD and Blu-ray on April 18th.